The current outbreaks — on which authorities are spending hundreds of thousands of dollars to track, treat, and contain — result from counter-factual beliefs, myths, fables, exaggerations, and emotions, not respect for the facts of modern science or medicine. Alas, anti-vaxxing or “hesitancy” about inoculations has become a harm infecting for too many adult minds, with raucous resistance to protecting not only one’s own but others’ children becomes a casualty of unfounded fear or wrongheadedness. 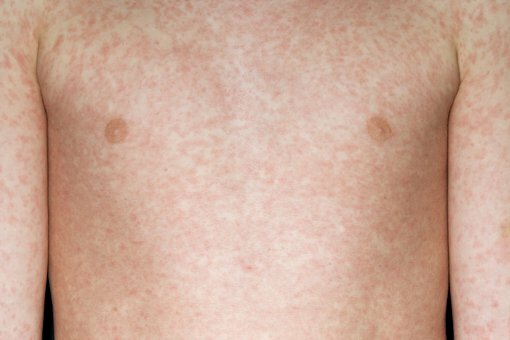 Lawmakers also eliminated “personal belief exemptions,” then saw vaccination rates among kindergartners rise from 90.4 percent in 2014 to 95.1 percent in 2017 — meaning youngsters also would get the broader “herd protection” achieved at 94 percent, when enough members of a community are immunized, so as to reduce infections’ risks. But virulent opposition to inoculations persists, and doctors and public health officials are raising alarms about rising rates of kids skipping out of vaccinations by presenting medical exemptions, which critics say may be spurious — basically bought or provided by lax doctors too ready to appease parents. An effort in Oregon to copy California’s stricter vaccination requirements failed, by the way. 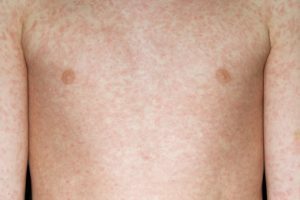 And national news reports have focused on the anti-vax fervor in the Pacific Northwest, where Libertarian politics and easy-going lifestyles have created a ripe atmosphere for ignoring medical science, especially since the reality seems far away and long ago of infectious diseases that once hospitalized thousands, left many youngsters with disfigurement or lifelong injury, and even caused deaths. In my practice, I not only see the harms that patients suffer while seeking medical services, but also the calamities that can be inflicted on families due to injuries to babies and children, including by diseases and bad or negligent care given for them. It’s unacceptable that parents put their youngsters at risk by foregoing vaccinations. Like any medical treatment, inoculations carry risks. They are far less than hysterical critics claim, and they are far outweighed by the benefits that individuals and reap from vaccines’ protections against savage effects of so many “common” childhood infections. As of Oct. 27, 2018, a total of 185 pediatric deaths had been reported to CDC during the 2017-2018 season. This number exceeds the previously highest number of flu-associated deaths in children reported during a regular flu season (171 during the 2012-2013 season). Approximately 80 percent of these deaths occurred in children who had not received a flu vaccination this season. Vaccines protect against a spectrum of infectious illness, and, as circumstances shift, we all can benefit from different inoculations at different ages and across the calendar. Don’t leave your youngsters, yourself, your partner, loved ones, or friends vulnerable. Talk to you doctor. Get those shots.